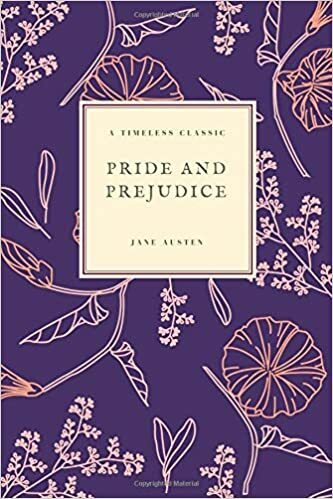 Pride and Prejudice research papers show that although the closure of the narrative in Jane Austen’s Pride and Prejudice is the happy marriage of both Elizabeth Bennet and Jane. Pride and Prejudice research papers show that although the closure of the narrative in Jane Austen’s Pride and Prejudice is the happy marriage of both Elizabeth Bennet and Jane, it is only by navigating an arduous course of obstacles, challenges and contemplation that the couples achieve this state of happiness. In the tradition of romances, the couples, particularly Elizabeth and Darcy, do not seem especially well-suited to one another at their first encounter. Gradually, over the course of the novel, Jane and Bingley as well as Elizabeth and Darcy come to recognize their affinity for one another. However, true resolution cannot be achieved in Pride and Prejudice until Elizabeth and Darcy each overcome a fatal flaw. The first meeting between Elizabeth and Darcy in Pride and Prejudice is extraordinarily unsuccessful. After Elizabeth overhears Darcy’s unfavorable assessment of her as “tolerable; but not handsome enough to tempt” him, she is insulted and angry, which is revealing of her stubbornness, pride, and short temper. Darcy’s hasty judgment of Elizabeth is indicative of his outlook when he is first introduced in the novel. He suffers from both arrogance and recklessness, and in order to gain access to the happiness that his match with Elizabeth will eventually represent to him, he must understand and overcome the deficits in his personality and disposition. In Pride and Prejudice, true happiness is achieved through a mutual recognition on the part of two exceedingly stubborn and single-minded people that their initial impressions of people were fundamentally misguided. In gaining the ability to recognize their individual fallibility in assessment of character, Elizabeth and Darcy also gain a chance for true happiness. If the two had not been able to achieve the degree of flexibility, prudence and common sense necessary to achieve the realization of their own shortcomings, their chances for true happiness in love would have been limited. Paper Masters writes custom research papers on Pride and Prejudice and show that although the closure of the narrative in Jane Austen’s Pride and Prejudice is the happy marriage of both Elizabeth Bennet and Jane.